Serious Question: Is Bloomberg Secretly Trying To Kill Every Bicyclist In New York City? [CBS New York, via our friends at Hoboken411] Across Manhattan, bike share docking stations are spreading, and so is the backlash. Even people excited about the program say they’re upset over the implementation. Call it “installation frustration.” The bike share docking station moved into position on East 11th Street eliminates a loading zone used by the company Bella Tile. “I don’t know how we’re going to be able to operate really now effectively. It’s sad, dramatic negative impact,” business owner Carlo Giurdanella said. 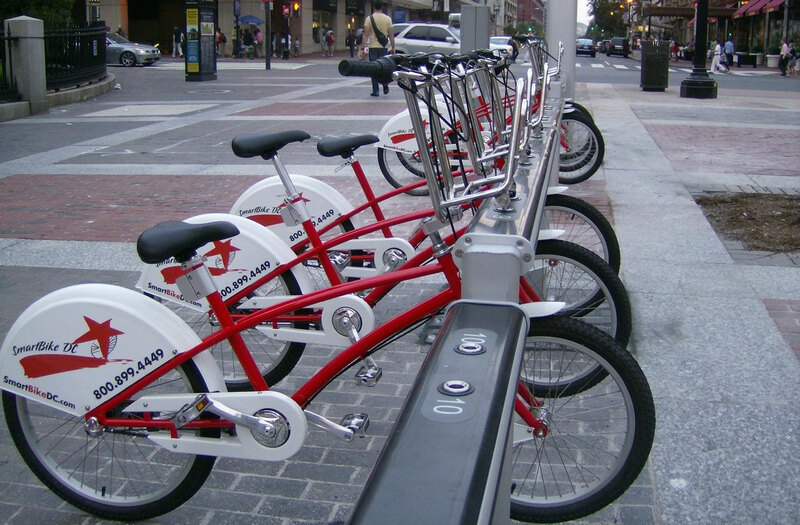 I’ve written about DC’s bike share system before, and to tell you the truth I really hoped that other cities would learn from our mistake. Sadly it appears that isn’t the case, as New York City is all geared up and ready to go with their brand new Amateur Bicyclist Enablement Program. It’s sad really. What kills me is how the most passionate bicyclists are always the most eco-friendly hippies of the bunch. They’ll talk to you for hours about how corporations are evil and if you don’t shop locally you’re a corporate sheep. Yet when it comes right down to it what do they do? Oh, just force local businesses to close because their loading zone is now a bike dispensary. I mean honestly, is there any line of hypocrisy that bicyclists WON’T cross? I bet you anything that these weed loving hippie douchebags are the sort of people who call the cops on other pot smokers even as they light up a joint for themselves. PS. Part of me thinks this secretly some sort of diabolical plan that Bloomberg has concocted to cut down on the bicyclist population. I mean you’re giving inexperienced bicyclists easy access to bikes in a city populated with the most batshit insane drivers in the world? Using a bike share bike in New York City basically amounts to suicide by cab. Even I can’t endorse that. I’m all for getting bicyclists off the roads but Bloomberg seems to be attempting straight up genocide. This ain’t gonna end well, folks. This entry was posted in Stupidity and tagged bicyclist, bike, biker, Bikeshare, biking, natural selection, New York, road warrior, stupid twats. Bookmark the permalink.